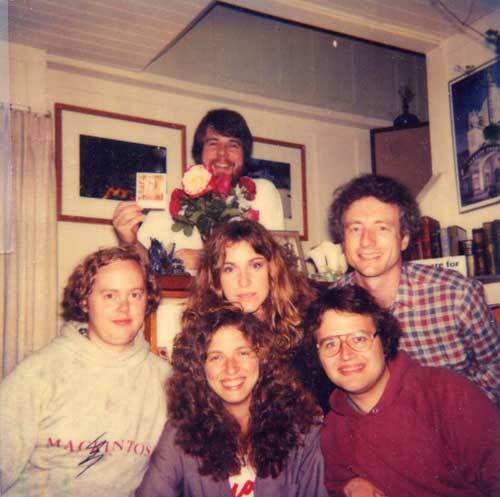 This was taken at a birthday party for Larry Tesler at Caroline Rose's house in April 1983. Steve Capps is up top; left to right it's Burrell Smith, Caroline Rose, Marge Boots (Capps' wife, in the middle), Andy Hertzfeld and Larry Tesler. 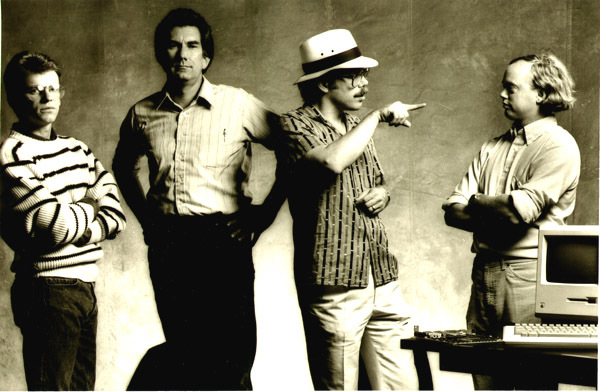 Another photograph of some of the design team, taken by Norman Seiff, the Rolling Stone photographer. From left to right, it's Chris Espinosa, George Crow, Bill Atkinson and Burrell Smith.